Since 1993 our company has been helping contractors get their Georgia state contractors license. With a 99% success rate, our exam prep classes are the best in the industry. Beginning July 1, 2008, Georgia will require a statewide Contractors License for any residential or commercial construction project that exceeds $ 2,500.00. Electrical, Plumbing, Conditioned Air, Utility Manager and Low-Voltage Contractor Classifications are required to be licensed at the state level. Pre-Approval is required for all Contractor Classifications. The Business & Law exam is also required for licensure, but is incorporated into most exams. The Business and Law examination does not stand alone and is required for all Contractor Classifications in Georgia. A Residential Basic Contractor is a person who performs contractor work or activity relative to detached one-family and two-family residences and one-family townhouses not over 3 stories in height. Also included are their accessory buildings and structures. There are no individual project size limitations. A Residential Light Commercial Contractor is one who performs any work or activity covered under the Residential/Basic contractor AND work or activity related to multifamily and multiuse light commercial buildings and structures, and their related accessory buildings and structures. These buildings/structures must be less than 4 stories high and less than 25,000 square feet in aggregate interior floor space. Buildings/structures are constructed of wood or light gauge meal frame, brick veneer, prefabricated, or manufactured type of construction, or are pre-engineered steel buildings not exceeding 50,000 square feet of interior floor space There are exemptions to this scope please consult Georgia Construction Industry Licensing Board web site for complete list. These licenses allow for the installation, maintenance, alteration, or repair of any electrical equipment, apparatus, control system, or electrical wiring device which is attached to or incorporated into any building or structure including the bidding and contracting for such work. It does not include Low Voltage work. The 2 levels of Conditioned Air Contractor in Georgia are: Class I conditioned air contractor licenses are restricted to conditioned air contracting involving conditioned air systems or equipment not exceeding 175,000 BTU of heating and 60,000 BTU of cooling. Class II licenses are unrestricted. For classifying systems, each complete system in a single installation is to be considered an individual job. These licenses allow for the bidding and contracting as well as the installation, repair, or service of conditioned air systems or conditioned air equipment. Service to or installation of the electrical connection between the electrical disconnects and conditioned air equipment is considered to be installation, repair, or service of conditioned air equipment or the conditioned air system. Service to or installation of the electrical circuit from the electrical distribution panel to the conditioned air equipment where the electrical service to the building or site is a single-phase electrical circuit not exceeding 200 amperes is considered to be installation, repair, or service of conditioned air equipment or the conditioned air system. This license allows for the installation, maintenance, alteration, and repair of plumbing fixtures and systems under the direction of a Master Plumber. A Master Plumber is a person who performs or contracts to perform plumbing services. Class 1 is restricted to plumbing work involving single-family dwellings, one-level dwellings designed for no more than 2 families and commercial structures not exceeding 10,000 sq. feet. Class 2 license has no restrictions as to the type of plumbing work allowed. The Georgia Statewide class LV-A low voltage contractor licenses are restricted to alarm and general system low-voltage contracting. Since the Low Voltage Alarm License allows work that falls under alarm work as well as general low voltage; a scope for each is listed here. Alarm Systems license covers any device or combination of devices used to detect a situation, causing an alarm in the event of a burglary, fire, robbery, medical emergency, or equipment failure, or on the occurrence of any other predetermined event. General Low Voltage license covers any electrical systems, other than alarm or telecommunication systems, involving low-voltage wiring, including, but not limited to stand alone intercom systems and call alert systems (audio or visual); distribution wiring for alarm systems and telecommunications systems including local area network systems; sound systems; public address systems; the low voltage side of energy management systems; antenna systems and satellite dish systems, irrigation system wiring; and low voltage lighting. Georgia Statewide Class LV-T low voltage contractor’s licenses are restricted to telecommunication and general system low-voltage contracting. Telecommunications Systems license covers any switching system and associated apparatus which performs the basic function of two-way voice or data service, or both, and which can be a commonly controlled system capable of being administered both locally and remotely via secured access. Georgia Statewide LV-U low-voltage licenses are unrestricted in both size and scope. A Georgia Unrestricted Low Voltage license covers all low voltage work including that work which falls under the General, Alarm and Telecommunications Licenses. Utility manager means any individual who is employed by a utility contractor to have oversight and charge of the construction, erection, alteration, or repair of utility systems. Only the Utility Manager is allowed to do the hands-on work. Other licenses are needed to supervise and to contract. A Utility Contractor License is needed to bid, advertise, contract and pull permits. An exam is not needed to acquire the license. A Utility Contractor must fill out an application, meet the qualifications, pay a $50 fee and have a licensed Utility Manager in his employ. A Utility Foreman license is needed to supervise utility construction. An exam is not required for the Foreman license. One must fill out an application and meet the requirements. If you are looking to become a licensed contractor in Georgia you know that extensive preparation and study are necessary in order to pass the exam required by the state. American Contractors Exam Services offers all of the books, CDs, webinars, classes, practice tests and other online resources necessary to make certain you pass the exam the first time. Passing the Business and Law contractor license exam is also necessary before you can obtain your contractor’s license; we help you prepare for this exam as well. Whether your desire is to become an HVAC contractor, plumber, electrician or mechanic in the commercial or residential industry, you need the skills and expertise to reach your goals of a successful career. American Contractors Exam Services strives to offer our customers all of the materials and resources you need to easily pass the exams; from live seminars to webinars, our highly trained staff of professionals deliver the information in a way that you can understand and learn from. Our instructors are dedicated to your success, and cover a wide array of topics including issues related to HVAC, mechanical, electrical, plumbing and residential or commercial services. Our mission is to provide those in Georgia with all you need to become a licensed contractor. We also provide reference materials regarding stock code, estimating and construction to further help you gain the knowledge necessary to pass the licensed contractor exam. Online courses to further help you in your career include HVAC, math for general contractors and construction Spanish. We even offer “sample” tests so that you can practice for those roofing, international building codes and electrical code and theory questions that come up on the test. Practice testing will help you feel less anxious and stressed come the actual exam day. 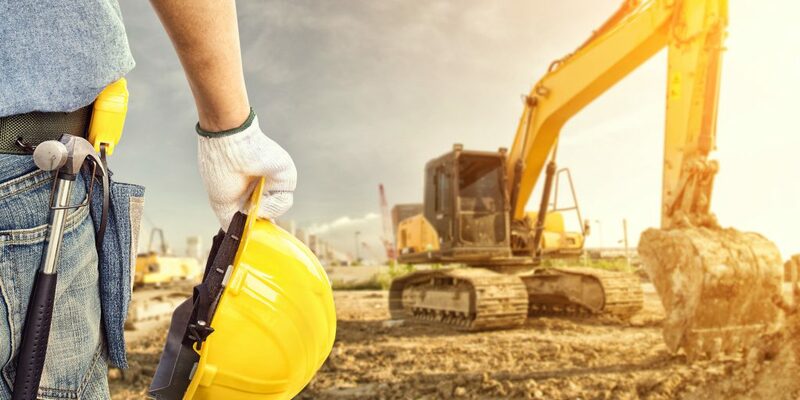 American Contractors Exam Services also offers additional services such as application processing assistance and consultation services to help with the legal structuring of your business after you obtain your contractors license. In Georgia, the Business and Law exam is required but usually incorporated in to the contractor license exam. Whether you are looking to obtain a license in plumbing, electrical, HVAC, or as a general or residential contractor, look to us to provide all of the materials and resources you need to pass your exam. We provide all that you need to ensure your success and to help you gain the knowledge necessary to reach your goal of becoming a licensed contractor.